right side of the detergent drawer. detergent needed for one load of wash into the left detergent drawer. 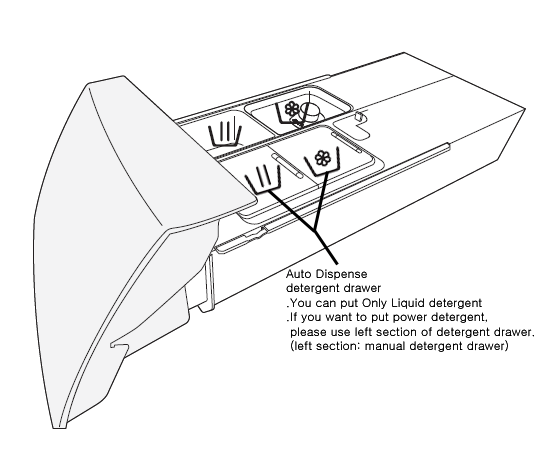 [Washing Machine] What is the simple way to clean the detergent drawer?